Which Organization Type are You Working In? For PMP questions, do you know which type of organization are you working in? 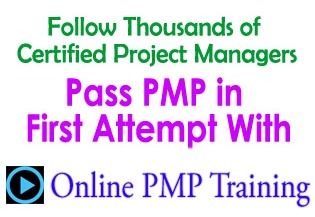 Join over 18.000 visitors who are receiving our PMP Tips & Tricks to Pass the PMP exam in their First Attempt. Many PMP exam questions won’t provide this information in the question. Yet, they expect you to know, and answer the question accordingly. This can create problem and many people make the fatal mistake of answering the question from their own experience and perspective. They think about the kind of organization they work in, and apply it while answering the PMP questions. As per the PMBOK Guide, Sixth Edition, there are 3 Major types of organizations – Functional, Projectized, and Matrix. Further, Matrix type of organization comes in 3 flavors – Strong Matrix, Weak Matrix and Balanced Matrix. Some PMP exam questions will refer to these organization types, and some will not. Where it is referred, it may be quite useful to know this, and you can draw many insights from the pros and cons of each approach. However, in this article, I want to highlight those questions, where the Organization Type is NOT mentioned in the Question. What do you do then? How are you supposed to behave? What powers do you have, or you do not have, as a Project Manager? In general, the Functional Organization has departments, headed by department managers, like Sales Manager, Marketing Manager, Finance Director etc.Each manager has his own team of experts, or staff, who only work for that function. So the sales team does sales, and reports to the Sales Manager. Pretty simple. Resources are only available to project work, after permission is received from the Functional Manager. In this kind of Functional organization, the project manager does not have much power, and actually reports to one of the functional managers. In terms of role, the Project manager is often referred to as a Project Coordinator (very little power), or a Project Expeditor (hardly any power) to plan and execute the project. In sharp contrast, the Projectized Organization is headed by a Project Manager, who has absolute powers to do anything and everything on the project – hire, fire, plan, execute, do anything to get the project completed successfully. Full control. The third kind, is a hybrid, mixed approach. The Matrix Organization falls in between the Functional and Projectized organization. In the Weak Matrix, which is closer to the Functional organization, the Project manager has some more powers, but is still reporting to the functional manager. Kind of a Project coordinator. In the Balanced Matrix, although the project manager is still reporting to the functional manager, his role is more independent, and has a much greater authority, which comes with the designation of Project Manager. Power is shared between the two managers, and the role is getting more clear cut. But resources for the project still belong to the functional manager. The Strong Matrix type of organization is much closer to the Projectized org type. The Project Manager reports to the Manager of Project Managers, and acts at an equal footing with the Functional Manager. However, the resources still come from the Functional Manager, so you need to constantly battle for the same resources. The key difference is that in a Strong Matrix, the Project Manager has more control over the budget, resources, and how the money is spent on the project activities. For PMP questions, the Project Manager is expected to take charge – he or she is supposed to get things done. Period. The leadership style is more directing, coaching, delegating and guiding, depending on the project status, and project team’s awareness and experience on the project and the project environment. The Project Manager is also responsible for the Budget, the Scope, and deliver the project as per the agreed Timeline, and take care of building, managing, and coaching the team, to deliver the project on time, budget and scope. Thus, the role expected from the Project manager tends to be more towards the Balanced Matrix to Strong Matrix type of organization, where there is more power for the Project Manager. If nothing is given in the PMP exam question, assume that the organization type is a Balanced or Strong Matrix. Do not assume it to be completely Projectized, unless clearly stated. If you work on this model, you can get many questions correct, because you know what to expect for the role of the project manager. Do You Know about Hammock Activity for PMP exam? Does PM has to negotiate with FM for resources and budget in a strong matrix org?